Marketing Your Creative Talents – Let’s Get Serious! Marketing’s for everyone! Yes, even YOU sales-averse creatives! What the heck is this and why is it being posted on a site focused on organizing and storage information and solutions for crafters? We’ve been invited to participate in a “blog tour” and we believe at least some of you will be happy to come along! You see, some of our readers are crafters and artists who’d like to transform their passion from a “hobby” into a “business,” a successful and sustainable business. And others are looking for exposure for their talents and creations in an effort to be picked up by a design team, publication, manufacturer or agent. And it’s quite possible our readership includes those who’d love to achieve both! Now, if you’re not in either camp above, we apologize for the interruption to our regularly scheduled programming – we promise more craft storage information and inspiration is just around the corner…see you soon! But, for those who were perhaps a little (or very!) excited by today’s post title, and maybe recognized yourself in the descriptions above, this is your lucky day! As many of you know (from my intro when I took over Craft Storage Ideas), I’m a long-time branding, marketing and PR professional (some might say geek!). Well, it means that I get excited about discussing concepts like unique selling propositions (USPs); features vs. benefits; calls to action, conversion rates and lifetime value of a customer (CTAs, CRs and LTV ); and, perhaps the most focused on, return on investment (ROI). What it also means is that I know, first-hand, how important it is to employ effective marketing if your desire is to take what you do from being a fun hobby to being a viable, sustainable (and fun!) business. And this is especially true if you have limited resources! You can only effectively market your talents and creations by knowing who your ideal customer is, and effectively communicating the value and/or benefits your business provides and how your business is unique, to these ideal customers. And this is where many creative types get stymied – they find it hard to “sell” themselves and what they passionately create, and often even harder to effectively communicate the value to those best suited to buy it, at the right time and in the right place. And time? Who’s got the time for all this, right? This is where even us experienced marketers can get burned out! Staying on top of all the channels of communication is demanding. Running two websites (Craft Storage Ideas and PaperCrafter’s Corner) with a skeleton crew means I’m putting in a lot of hours – I’m always looking for tips and tricks for managing it all in an even more efficient, and effective, manner. Well, as I said, this is your lucky day! While I currently only offer marketing consulting to those companies that advertise with or become sponsors of Craft Storage Ideas or PaperCrafter’s Corner (I just don’t have the bandwidth to take on other clients), there are numerous wonderful resources that ARE available to you and I have one to share today. Perhaps you’ve heard of CreativeLive? And if you’re not familiar with CreativeLive, I’m about to rock your world! You see, CreativeLive is a provider of online education for viewers (including creatives like you!) around the world who are interested in learning from the comfort of their homes…or wherever they happen to be. But wait, it gets even cooler! One of their “experts,” April Bowles-Olin, is going to be back to teach a course called Double Your Followers With Creative Marketing, and you’re invited to tune in, for FREE! Having sat in on part of one of April’s previous classes (remember, even seasoned marketing folks appreciate learning new tricks! ), I will tell you she is inspiring…and fun! And most importantly, she knows her stuff! OK, that write-up alone should demonstrate that this is gonna be a great class with a fun gal! Looking for an inspiring, successful and knowledgeable teacher to take you from marketing amateur to marketing rockstar? No, I am not receiving compensation for sharing this – I received an invite from April to participate in her blog tour for her upcoming class and I simply wanted to pass along the information to those who might benefit from it. There’s nothing I hate worse than watching or listening to supposed “experts” and being let down. But, I have watched numerous CreativeLive classes (did you know they offer photography classes too?!) and I have found them to be top-notch. I wouldn’t recommend their “channel” or this class unless I thought it would be worthwhile. I’ll be tuning in to April’s class when I can in the hopes of grabbing a few of those tips and tricks I mentioned above – come on April, I know you’ve got a few up your sleeve for me too! we may occasionally share more like it in the future! Author Stephanie HackneyPosted on September 23, 2015 Categories Craft Marketing, Editorials & Polls, Marketing4 Comments on Marketing Your Creative Talents – Let’s Get Serious! Craft Storage Ideas: We Want to Hear From YOU! Tell us what you’d like to see here at CSI! Craft Storage Ideas: We’d Love to Hear Your Suggestions! After lots of “behind-the-scenes” activity to update the site, as well as updating existing social media accounts (Facebook, Pinterest) and launching new accounts (Twitter, YouTube, Instagram) so we can offer you even more craft storage ideas through a variety of channels, we’re excited to get the ball rolling again! Stephanie Hackney (that’s me!) has acquired Craft Storage Ideas. We’d love to hear from you – what specifically would you like us to investigate, to discuss and to offer you in the way of tips, tricks and solutions, and information and inspiration, for storing your one or many crafts’ tools, supplies and ongoing projects? We’ll continue to bring you content based on the previously-covered topic areas (Craft Room Peeks, Crafter Interviews & Craft Space Tours, Contributor Team Spaces, Furnishing Shares, ‘Just One Tip,’ Storage Solution Round-Ups, DIY Storage Solutions, Re-Purposing/Recycling/Re-Using, Product Reviews and Organizing How-To’s), but we’d like to know what else we can provide – this is YOUR chance to voice your opinion on what we’ll be researching and sharing moving forward. We look forward to hearing your ideas and we’ll return to our regular posting schedule (at least three (3) posts per week) starting next week. craft storage and organizing information and inspiration we share? and you’ll always be the first to receive it! Author Stephanie HackneyPosted on May 28, 2015 Categories Audience Survey, Craft Storage Ideas, Craft Storage Ideas News, Editorials & PollsTags Audience Poll, Craft Storage Ideas, Request for Suggestions12 Comments on Craft Storage Ideas: We Want to Hear From YOU! Come on let’s Flickr ………… Great news!! Hallo to all of you. I’m Hazel and SO glad to be here with you today. Last week the Craft Storage Ideas contributors hosted a week of their favourite Flickr rooms and now I want to share a bit of extra info. Maybe it’s a bit of old school to most of you with Pinterest being the new flavour of the month but Flickr still has its merits. Let’s start at the very beginning. You know the feeling when you come up with a bright idea or a beautiful project and you just want to show everyone?? Most of the time I craft alone and as I share my home with 3 men, the chances are sub zero that I would get any appreciation for my efforts from that source. So, this is how I’ve progressed into sharing my projects and making Blogland friends. For years I’ve kept a notebook. I added pictures and a short description of what I did. It worked well but the problem is, you still want to share your “brag book” with someone and if you do, you have to explain what you did, why you did it etc. etc. etc – just too much hassle. Adding printed pictures took time and could become a costly exercise if you don’t print at home (like me). So, one morning I got up and decided that I don’t want to is electronic media retarded any more. I joined a Photoshop course, bought half a decent camera and embarked on a new journey. First came a Flickr account. You upload your pictures, add a short / lengthy explanation and paste your efforts onto group boards that you love. You can also pin from here, use the link to submit to a competition / challenge / comment and best of all …………………………….. you can receive comments and recognition from fellow crafters and groups “out there”. It’s easy, cheap, doesn’t take as much time as blogging and you can decide where you want to link to. I’m not an expert on this but it seems that the big advantage in Flickr is that you can decide where to link you photo but in Pinterest the pinner has the power to link what he/she likes. I love to follow people and groups on Flickr. If I like one project, most of the time I love the other stuff in that Photostream and end up” flicking” through all the projects for inspiration. You can also check back to the original contributor if you follow a group. That way you end up with another Photostream that takes your fancy. In all honesty, I can tell you that I don’t feel behind when it comes to electronic media anymore. I know that there is a lot out there that I still don’t know but for now, I’m happy. Yes, I’m on Pinterest, Facebook, Etsy, Instagram and I blog but if I take everything into consideration Flickr is the quickest and cheapest option to “get out there”. At the end of all my posts I always invite you to leave comments / hop over to my blog and contact me there because I love to see what you think and do. You can still do that but today I would like to invite you to link your projects to our Flickr group. Did you hear that????? Craft Storage Ideas now has it’s very own Flickr group and we did it because we want to share in your fun. Not only will we see what you do but it will enable us to use some of your great ideas in our blog posts and to pin it onto our Pinterest boards. Come on, PLEASE link up!! We’ve even added a button over on the right sidebar ———> to make it easier to link over! That’s it. I’m off to link some more projects to the new group and watch out ……………….. there might be a new discussion over there. Don’t miss out. See you over there. PS. For those of you new to Flickr, here is a bit of handy info. And no, I didn’t do it all by myself. I got hold of a very useful post here and just shortened it to the bits that I use. For the Flickr pro’s – just skip this part. Flickr is a popular photo-sharing and hosting service with advanced and powerful features. It supports an active and engaged community where people share and explore each other’s photos. You can share and host hundreds of your own pictures on Flickr without paying a dime. There’s also a pro service that gets you unlimited storage and sharing for a few bucks a month, making it one of the cheapest hosting sites around. To upload your pictures – there is an app available where you can right click on a picture and it miraculously pops onto your Flickr photostream but you can also go the manual way – here you can upload up to 6 individual pictures at a time. Once your photos have been uploaded, you don’t need to rely on titles or folders to sort them, as you do with most other sharing sites. Instead you use tags: short identifiers you can later use to categorize and search for photos. Flickr lets you add up to 75 tags to each picture. (Just a tip: If you have a multiword tag such as “Tree House,” put quotations around it, otherwise it will get split into two different tags.) Once your pictures are uploaded and tagged you can sort them into sets. Sets are like different albums in Flickr. And now for the best part: Flickr is all about sharing. The reason it has tagging and notating features is so other people can find and make sense of your photos. Flickr gives you quite a few sharing options, but maybe the handiest is that it lets you paste thumbnail previews into forums, blogs, and social networks. Sharing your photos is great, but half of the fun of these photo-hosting services is seeing what other people are taking pictures of and interacting with them. The biggest draws to Flickr’s community are groups, which let users create and contribute to themed groups. Each group has a shared pool of pictures that any of its members can contribute to. Each group gets its own forum for chatting about topics or individual pictures. It’s almost like book club, but for pictures. To join any group, just click the “Join this group” button. To contribute your own photos, just click the “Send to group” button. You’ll then get the option to select whatever group you’re a member of in a drop-down list. Participating in forums and group discussions is really easy. If you’re signed in to Flickr, just click the “Post a new topic” link. You also can reply to someone’s topic by typing in the reply box at the bottom of the discussion. Author Hazel HammanPosted on February 10, 2014 Categories Editorials & PollsTags FlikrLeave a comment on Come on let’s Flickr ………… Great news!! Today, I’d like to share with you some new trends and great ideas that I saw in the way of storage. Some are actual products for sale (I’ll link you up wherever possible) and some were just great ideas the craft companies had used for displaying products they were featuring. So, lets take a little journey and I’ll share with you some things that really resonated with me. One trend I really picked up on was the use of vintage/found items to display crafts on. Some of them were vintage inspired new items. I like this shutter memo board you will be able to get from We R Memory Keepers. It’s not released yet, but I have a feeling it will be very popular once it is! It comes in several colors and they are already distressed, as shown here. Wouldn’t this be a great way to show off your latest cards or pages? I have seen very similar reclaimed shutter memo boards on Pinterest, and isn’t this great that all the hard work is already done for you? This comes in 6 colors, very fun and I love how pretty this is. Additionally I saw many manufacturers using vintage crates or reclaimed pieces to display their product. Here’s some cool crates I spied….. I saw some gorgeous decoupaged storage at CHA. Particularly Kaisercraft and Graphic 45 were featuring their papers and accents decoupaged onto wall shelves, magazine holders, and mini drawer sets. They were all so pretty, I must have stopped by each of those booths 3 times just to take in more of the visual candy that was going on! It was a good reminder that you can always take an old shelf or tray and dress it up with some gorgeous papers! I saw some lovely wood & chipboard trays that you could alter however you liked. These were so versatile in that they could be used for storage, or for decorative uses. You could decoupage, stamp, paint, and dress these up with embellishments like ribbon, brads and hardware. Configurations at Tim Holtz: They are now offering these in a shallower version that what is shown at that link, but both would be great for storage! Clear storage continues to be popular. SRM stickers showed a brilliant idea to dry emboss acetate boxes to give them more interest. You could use these for storing buttons or brads, aren’t they cute? Totes geared toward specific uses continue to be popular! It seemed as if turquoise and teal with fun prints were the “now” colors. Well, I hope you have enjoyed this virtual journey around CHA! Advantus Corp has generously offered to send me some storage products to review, so you will see some great product reviews coming soon! Nothing in and of itself is bad about these projects. But when they start to become a burden or take up space, they can really start to place on a drain on your creativity as well as precious real estate space wherever you craft. Personally, I am interested in many crafts. I like to scrapbook, sew, make jewelry, and create home decor accents to name a few. I purchase and store a lot of supplies. Sometimes I will purchase everything to make a new craft and never get around to doing it. When it comes time to create, I feel stuck because I feel like I have so many projects to do and don’t know what to work on. And sometimes I start on a project, realize I don’t have everything I need, and so I will tuck it away until I get around to it again! So what can we do with all the projects that are not finished? I am going to break it down into manageable steps for you to finally deal with them one and for all! Step One: Evaluate the current unfinished projects you have. Take them all out! Spread them out on a table or the floor. I want you to take an honest look at your unfinished projects. Are you really going to finish it? Be honest here. If your project has sat untouched for 6 months to a year (or even longer) there is a good chance you are NOT going to ever finish it. Step Two: Sort unfinished projects. Separate your unfinished projects into two piles or boxes – projects you want to complete and ones that you are willing to let go of. 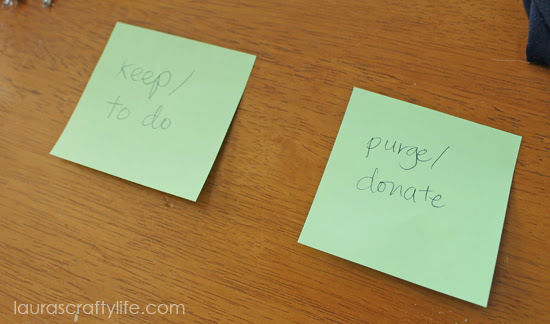 Step Three: Purge projects you are willing to let go of. Give away: If you have a friend you know would love your crafting supplies, feel free to pass them along. But do not pass along a burden of an unfinished project with a load of guilt. Only pass it along if they say they truly want those supplies. We are not trying to clutter up our friend’s lives! 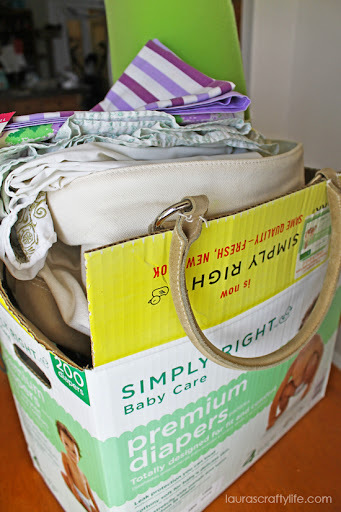 Donate: You can also donate your supplies or unfinished project to a thrift store. If you have fabric or quilt supplies there may be a nearby group that sews quilts for hospital patients you can donate to. Same thing goes with extra yarn for blankets or baby items. Throw away: Lastly, you can always just throw it out! The earth conscious side of me hates to do this, but sometimes it really is the best answer! Step Four: Create a deadline for unfinished projects. Now, all you should have left are the projects you want to complete. Realistically think about how long the project is going to take you, and whether or not you have time to commit to it at this stage in your life. If you don’t think you can complete it in a reasonable time frame, use step three to purge the project. Once you have determined the amount of time you think it will take you to finish, schedule it into your calendar. If you need to stay on track, also schedule in blocks of time to work on your project throughout the coming days and weeks. Take stock of any materials you may need to have on hand to complete your project and add them to your shopping list. Schedule in time to research or talk to a friend if you need help with an aspect of your project and aren’t sure how to complete it. Step Five: Re-evaluate your projects once you reach your deadline. 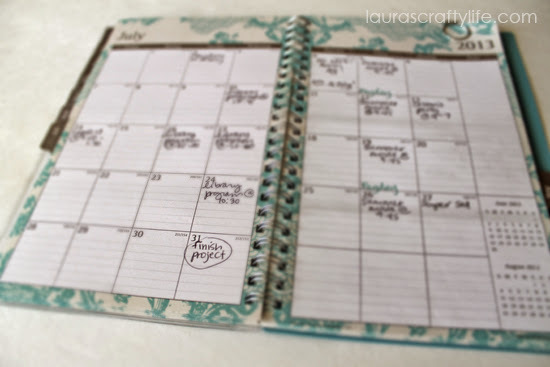 Once you reach the date you marked off on your calendar, evaluate your progress on your projects. Congratulations if you meet or exceed your deadline! Also, if you are making good progress on a project, but it happens to take longer than you are expecting, go ahead and extend the completion date. However, if the project hasn’t been touched, it is probably time to say goodbye and purge it! 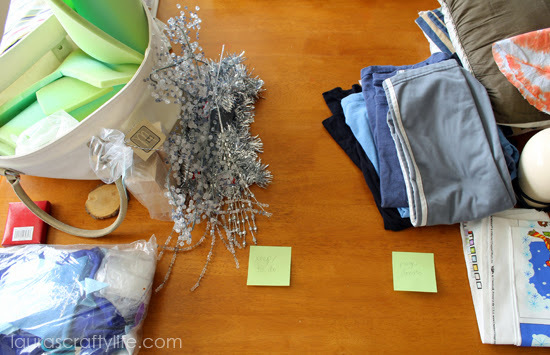 With these simple steps you can clear out your craft room in no time! What tips do you have for making sure your projects get done? Independence Week: Overwhelmed By Your Stash? Happy Independence Week! We are celebrating here at CSI by featuring a few posts about how you can gain “independence” from your crafting stash. When I talk to fellow crafters about organizing their supplies, the thing I hear more than anything is that they are overwhelmed. Either they can’t find something, or they have too many choices, or they just don’t know where to start when it comes to organizing their stash. According to an article I read recently on Oprah.com, when you look around your space and start to feel anxious, your body releases cortisol, a stress hormone. Yikes! Here are some pointers to help combat a messy and/or disorganized space. Keep your workspace clear. Your workspace is the single-most necessary thing to help you actually create something. And if it’s not clear, you are far less likely to sit down to start a project. Even if the room around you is a mess or unorganized, make your number one priority to clear your workspace. Storage shelves. No stacking or double shelving allowed. In other words, if you have small items behind larger items, etc., get them all in one single layer. Those hidden items are hard to find and lead to frustration. 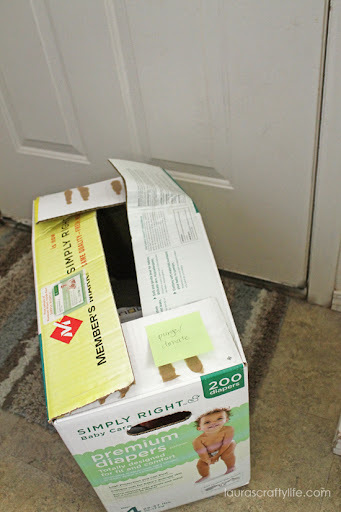 Paper storage. I know it’s hard to believe, but chances are if you are a scrapbooker, you have more paper than you’ll be able to use. Go through it all, if it fits into one of the following three categories, keep it. If it doesn’t, give it away. Don’t pile items on the floor. It’s a vicious cycle. I’ve done this many time. I say “Oh, I’ll just put this here for now”. And before you know it I’ve got multiple piles that I have to climb over on a regular basis. Keep a donation bin. This might be my number one piece of advice. I’ve managed get myself into the habit of making decisions about supplies and even tools when I am cleaning up after I’ve completed a project. Will use that scrap of patterned paper again? What about that stamp? Was it hard to use? Do I have another project in mind for it? Have I used all of those letter stickers to the point I won’t use them again. You get the picture. If the answer to any of those questions is yes, I either recycle or add to my donation bin. It even makes cleaning up a little easier. Remember the six month rule. Have you used it in six months. I’ll even say, you can make it the one year rule. J If you haven’t you should seriously consider donating it. Tastes change. Ideas morph. Give yourself some freedom. One In, Two Out. When something new comes in, at least one thing, preferably two, must go. I know, I know. 😉 What if we said, if one comes in, USE one within the next week, or donate. Would that help? Ultimately, and at the risk of sounding harsh (I swear I don’t mean it harshly), your craft room is not supposed to be a warehouse! It should be a place where you find inspiration, comfort and your inner creative. Now go out there and do it! I’m rooting for you! Author Rebecca BoyerPosted on July 1, 2013 Categories Editorials & PollsTags donation, organizing, paper, stamps, tools6 Comments on Independence Week: Overwhelmed By Your Stash? Let’s face it – trends come and go in the craft industry. The must-haves change pretty quickly and one area where I find this particularly obvious is in my stamp stash. Since my storage space is at an extreme minimum, it’s important for me to keep a tight grip on the size of the stamp collection. Stamps – acrylic, unmounted and wood mounted rubber – take up a lot of craft room real estate and for me, need to be purged on a regular basis. The problem is when they start to accumulate, they take up a lot of space regardless of their storage format. In addition, the wood mounted stamps can get heavy in large groups. Since I store my stamps in an Ikea dresser, I always have a problem with the drawer bottoms bowing. So I need to be careful about adding to this part of the collection. Trends: The first category I focus on. Trendy imagery and shapes (like owls, hedgehogs, hexagons, chevrons, doilies, etc) usually don’t have ‘crafty’ staying power. I’m pretty ruthless here. If I haven’t used it in at least a year and it’s a trendy image, it has to go. Sentiments/Words: As a cardmaker these are an essential in my stash but even they can become dated. I’m on the lookout for current and/or timeless fonts & phrases. I’m not above keeping the sentiment portion of a stamp set and purging the rest of the pieces for the sake of saving space. The binder pages are especially handy for keeping these all together in one place. The ‘Basics’: This category has more staying power. The are the lined journaling spots, classic shapes like hearts and arrows, etc. When I’m purging this group I’m thinking more about how much I’ve used them. Are they looking dated? Unless I have something specific in mind for a project and it’s been more than 2 years, I purge them. And lastly, Condition: I have a few stamps (mostly acrylic) that I’ve used & abused so much that they no longer make a clean impression. If they are torn or no longer making a clean print, they need to go. I’m ruthless but not to the point of removing the stuff I love. I keep some stamps just because they make me happy. I even keep them out where I can see them. Regular purging of product helps me justify keeping my faves and adding new ones. In addition, reviewing the stamp stash on a regular basis, or any part of my stash for that matter, is a sure fire way to spark my creativity. Don’t be afraid to let go of the products that aren’t working for you. The manufacturers will keep making more! It’s a fresh new year! It’s a fresh new year here at Craft Storage Ideas! And we’re super excited about what’s in store in the next few months! Beginning Monday, we’ll be bringing you thirteen fresh ideas for organizing your crafty ideas. We’re hoping you’ll be inspired and motivated! Mark your calendars – we’ll see you soon! Author Rebecca BoyerPosted on January 4, 2013 Categories Editorials & PollsTags 13 in 2013Leave a comment on It’s a fresh new year! We’ve got two more posts from our Contributing Team this week, then CSI will be taking a little break until the new year. Besides, we know that most of you will be enjoying the heck out your family and friends….and probably won’t be organizing 🙂 But don’t worry, we’ll be back with lots of fresh and new ideas in 2013! We all wanted to let you, our readers, know how much we appreciate you! Nothing makes us happier than finding the perfect solution for organizing our craft supplies, and then getting to share that love with someone else! Thank you for reading, pinning our articles, and following along on Facebook. Words can’t express how much we love ya. And before we go, would you take a moment to consider joining us in helping Amber of Damask Love assemble creative kits to aid children in processing the sad events in Newtown? Vendors, companies and individuals are all invited to donate new & unused supplies to be included in the creative kits. Below is the need list for completing each kit. To meet the goal, we’ll need at least 50 of each item. You do not need to donate all 50 though! Do what you can and we’ll chip away at this list together! I know I’ve got several items on this list in my crafty space. Will you join us? More details about the effort can be found here.